It’s almost time for Gen Con’s 34th annual Costume Contest, sponsored by Brother International Corporation! 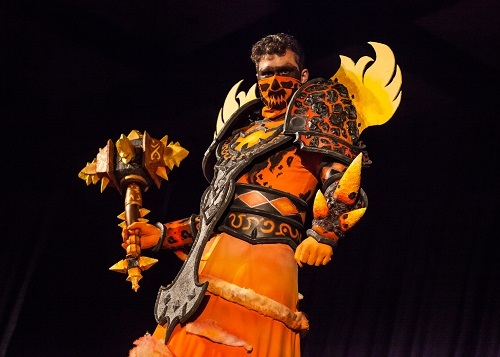 Whether you want to put together your best cosplay and compete, or just check out all the amazing creativity, the Costume Contest is a must-see event at Gen Con! 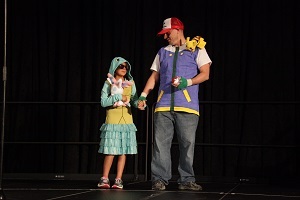 You’ll find the Costume Contest on the Main Stage in the 500 Ballroom at 4 pm on Saturday, August 3. For spectators, the Costume Contest is a free, ticketed event. Attendees without tickets may be seated if space allows, but priority is given to those with tickets, so save your seat by registering for ENT19152252 when the Event Catalog is live! A Gen Con 2019 badge is required for entry. If you’ve got plans at that time, but still want to see some truly fantastic cosplay, the Costume Parade marches through and around the convention center, starting at 3 pm. The Costume Contest will also be livestreamed on our Twitch channel! Want to enter the Costume Contest? The 2019 Entry Form includes the rules, general information, and next steps. In order to register for the contest, you must have a Gen Con 2019 badge, and two generic tickets (cash is not accepted). You can pick up some generic tickets at the Customer Service counter, located in the Wabash East concourse. Important: You MUST attend the Costume Contest check-in on site on Saturday between 9:30 am and 1 pm. Can’t wait to see your costumes! 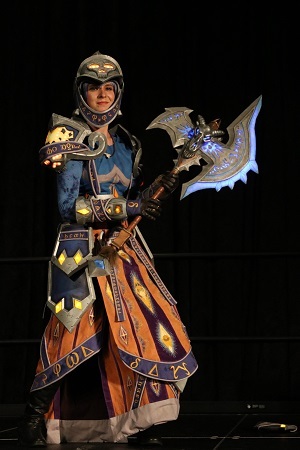 Plan to cosplay but don’t want to enter the contest? No problem! The parade is a great way to gather with fellow cosplayers and show off your costume. The parade will muster just outside Hall A at 3 pm, with the route entering Hall A, crossing through the Event Hall and exiting out Hall D. It will continue into the Crossroads Corridor and exit outside. There the parade will continue east down Maryland Street through the Maryland Street Motor Lobby, where it will turn right at the corner of Capital Avenue and will commence at the Capital Avenue Plaza. No one will be entered in the Costume Contest after check-in has closed. 4 pm — Costume Contest begins!